Monk Fruit Sweetener – Good or Bad? Monk fruit sweetener has been around for decades, but has recently grown in popularity since it’s become more readily available. The monk fruit is also known as “luo han guo” or the “Buddha fruit.” It is a small, round fruit grown in Southeast Asia. Monk fruit has been used for centuries in traditional Chinese medicine, but the FDA didn’t approve its use as a sweetener until 2010. Monk fruit extract is now used as a stand-alone sweetener, as an ingredient in foods or drinks, as a flavor enhancer or as a component of other sweetener blends (1). However, studies on other low-calorie sweeteners suggest they may lead to modest reductions in body weight (2, 3, 4). Studies report that using low-calorie sweeteners in place of regular-calorie versions can result in modest weight loss of less than 2 lbs (0.9 kg) (2). 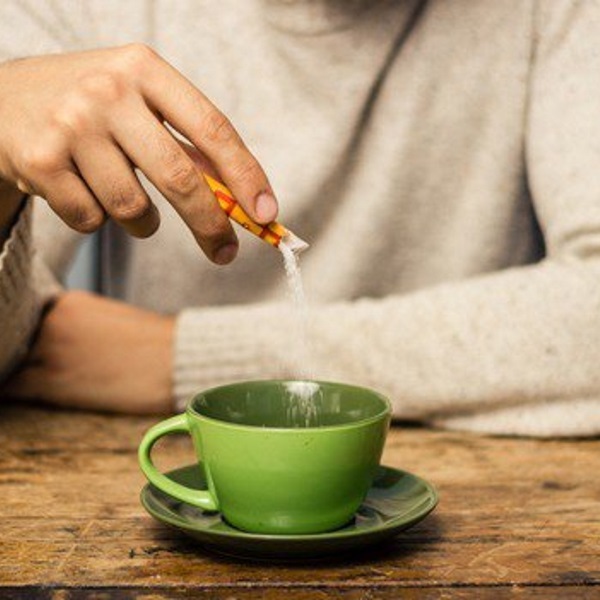 One review found that when people consumed low-calorie sweeteners and drinks, they also tended to consume less added fats, added sugars, alcohol and other sources of empty calories (3). In another study, people who consumed stevia or aspartame rather than sucrose ate fewer calories, without reporting any differences in hunger levels (4). Mogroside extracts show antioxidant and anti-inflammatory characteristics, inhibiting harmful molecules called reactive oxygen species and preventing DNA damage (5). These anti-inflammatory properties are likely to contribute to other health benefits, including the prevention of cancer and complications in diabetes (6). Animal and test-tube studies show that monk fruit extract inhibits cancer cell growth. How this actually happens is still unclear (7, 8, 9). One experiment found that the mogrosides suppressed leukemia cell growth. Another found they had powerful inhibitory effects on skin tumors in mice (8, 9). However, remember that even though monk fruit sweetener contains no carbs, it is often mixed with other sweeteners or products. So when you’re choosing a brand of monk fruit sweetener, make sure to read the label. Several studies in diabetic mice suggest that, in addition to not increasing blood sugar levels, monk fruit extract may actually help reduce them (10, 11, 12). When diabetic mice were given monk fruit extract, they had lower oxidative stress, reduced blood sugar levels and an increase in good cholesterol (11). Some of these benefits may be due to the ability of the mongrosides to stimulate insulin secretion in the cells that normally make insulin (13). Although mogroside extracts from monk fruit may have benefits for health and disease, more research is needed. To date, studies have used supplements of monk fruit extract that are much more concentrated than what you are likely to consume when taking it as a sweetener. It’s not clear what dosage people would need to consume in order to experience any of these health benefits. Unlike other low-calorie sweeteners, there aren’t lots of studies to back up the safety of monk fruit sweetener. Bottom Line: There aren’t many studies available on monk fruit sweetener in humans. However, it is generally recognized as safe.